The Tokyo Motor Show is a chance for Japanese automakers to show off what they've been working on in secret labs and design studios. At the Mitsubishi booth this year sits an aggressive-looking all-electric SUV that shows one version of what your next large electric car could look like, if you enjoy hulking rear ends on your high-clearance 'ute. 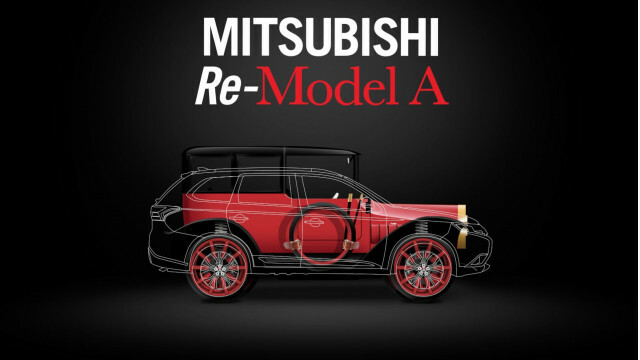 Called the e-Evolution Concept, Mitsu's car-show creation is a "high-performance SUV" that "embodies MMC's latest brand strategy under the new 'Drive your Ambition' global tagline." 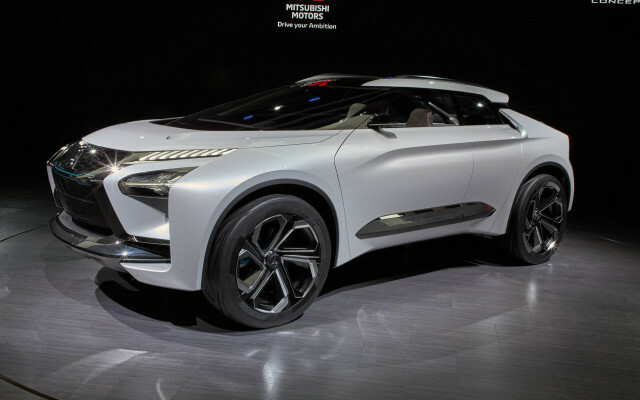 Mitsubishi is light on any technical details about its electric crossover concept, which we can excuse for a show car. The focus instead is on the design and style, which the company calls, "robust and ingenious." Dominated by a sleek black maw, the front end is a shiny, futuristic experience. Lots of sensors are hidden in the glass-covered grille, which itself is a "subtle hint that this car is a high-performance electric vehicle." 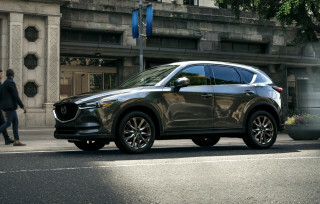 The powertrain details we do have include a pair of high-torque, high-performance electric motors—one up front, two in back as part of a new Dual Motor Active Yaw Control system that—and electric brake calipers. In addition, an advanced AI driving assistant can, "transfer knowledge to the driver, and to unobtrusively enhance the driving expertise." 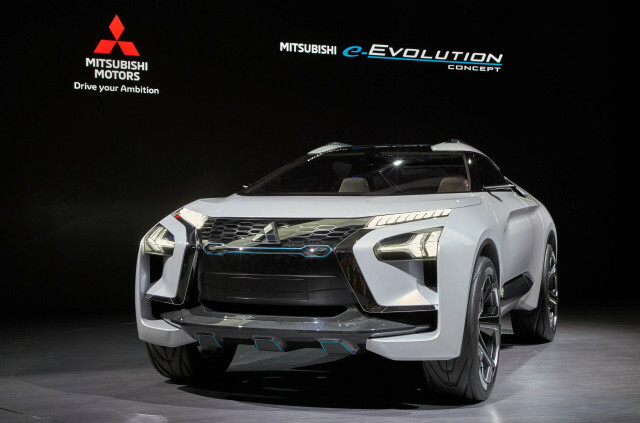 The e-Evolution is the latest in a several-year string of all-electric and plug-in hybrid concept cars Mitsubishi has shown that haven't, as yet, translated into any new production models. The Renault Nissan Alliance took a controlling interest in Mitsubishi roughly a year ago, uniting three car companies with long experience in battery-electric vehicles. Reports since then have indicated that all three brands will share one or more electric-vehicle architectures to be launched in 2019 and thereafter. Sharing battery, drivetrain, and platform architectures should allow the combined group to gain economies of scale across what could ultimately be a dozen or more all-electric vehicles in a variety of segments. Meanwhile, if you're more the type who prefers to "Drive Your Grandfather's Ambition," then take a look at this 1917 Mitsubishi Model A that has been given a plug-in hybrid update. The new powertrain used two electric motors and a 12-kWh li-ion battery along with a 2.0-liter gas engine that has a combined output of 197 horsepower. Now called the Mitsubishi Re-Model A, this old-looking-but-modern PHEV will be on display at the 2017 Los Angeles Auto Show in November. You can catch an early glimpse of the car on the show "Inside West Coast Customs" on November 6. For updates on all the concept cars and production vehicles at the show, see our Tokyo auto show news page.